If you are moving into a new home soon, you have a great opportunity to add some really interesting home decor pieces to your living space. Maybe you've tried this before, or maybe it's your first time. Either way, you'll need a little help to get started. What makes a unique home decor piece and what makes one incredible? First of all the design, color and style lend themselves to the character of the piece. Secondly, a back-story adds to its appeal. An antique or a replica of an antique not only look good, and function well in most cases, they lend a historical perspective to your decor. Authentic Models makes many great decor pieces that have real character because they are genuine replicas of real antiques. Another suggestion that make interesting home decor items are fine art sculptures, silk wall hangings and big clocks. It's easy to decorate your home or office with inexpensive but tasteful home decor. Add style to your home office or decorate your family room with beautiful mantle clocks. Another great idea would be to get them engraved. For collectors, there's nothing like innovative miniature novelty clocks. Truly amazing, there is one for every home decor. With the ever increasing trends in home décor, the possibilities are endless and it just keeps getting better. Take a look around to find the most interesting pieces. Here's a hint, they won't be in those big retail outlets. You'll have to start looking online and choose your pieces wisely. Searching for practical gift ideas today is not very easy because most items rely on multiple features or technology as a selling point. But if you look a little deeper, you'll find some practical gifts that make sense, and are actually a lot of fun. Need a few ideas to get you started? How about a perpetual calendar? It keeps track of the date and never needs to be changed. You'll find wooden block calendars for the desktop at work or at home. They won't run out of batteries and don't need to be programmed. They come in versatile perpetual calendar frames as well, combining two essentials for anyone's desktop. Maps and globes also fall into this category. They are great for teachers, researchers and those that enjoy geography. From historic globes to up-to-date globes with up-to-the-minute borders and country names, they are great for any age and will be used for a long time to come. Small pieces of furniture are another idea. End tables, lamp tables and wine racks always have a place in a home. Along with barware and wine boxes, these are stylish, thoughtful and practical gift ideas for adults. 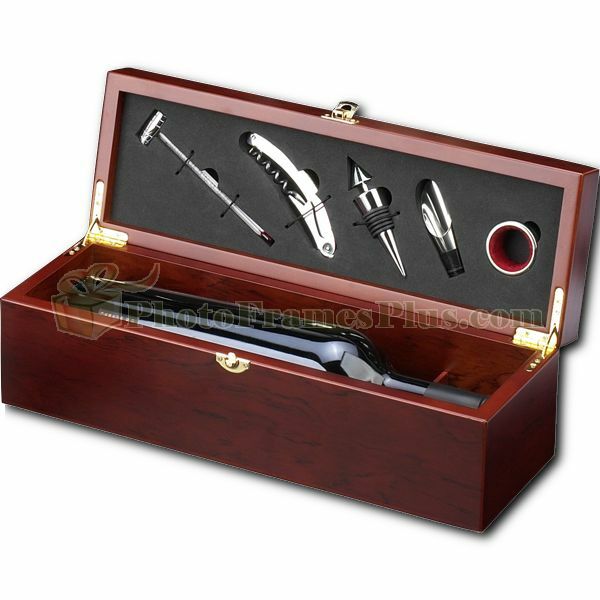 If you know a cigar lover, consider a humidor, cigar cutter or ashtray made of marble. You can also come up with more ideas by searching for items that people use everyday in their homes but may not have the time to buy. Oversized clocks, home decor, paintings and wall hangings are things people really need to decorate or update their homes. Your practical gift doesn't have to be boring or too common to be useful. Your house is your kingdom and the way it's decorated says a lot about you and your interests. So, if you have an interest in nautical decorations, add some authentic nautical furniture to your rooms. These pieces of furniture are made with nautical items and they capture the essence or maritime spirit. They include everything from brass porthole mirrors, to authentic nautical antique furniture like the ships porthole cabinet from Authentic Models. These furniture pieces create a real atmosphere because they are such an important part of the room. Many are very authentic in nature as well. For instance, the nautical sailor footlocker by Authentic models is made just like original sailor chests built centuries ago. They include dove tail corners and rope handles for added realism. 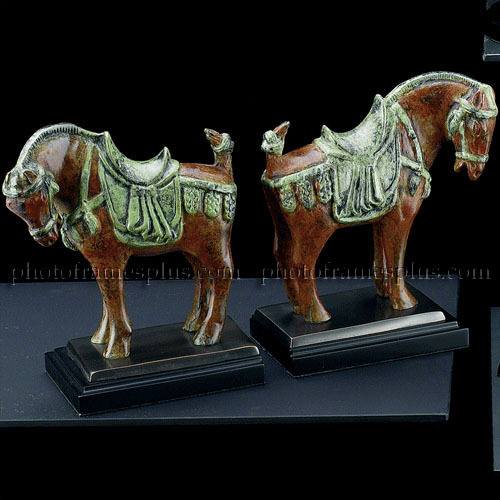 These are considered authentic antique replicas because they are so accurately depicted. Much more durable and useful than real antique nautical furniture, which is extremely hard to come by and very expensive if you do find it, they will become a part of your everyday life. The nautical furniture is used just like any other piece in your home it just has that added sense of maritime adventure. Combine pieces like porthole mirrors with sailor chests or distribute them throughout your home for a consistent theme. Just one small item changes the entire look of the room and adds a new atmosphere. These pieces are great for young and old, in the den, or kid's room. Not only will you have a genuine relic from ages past, you'll have a functional piece of designer furniture with a little bit of historical context. Even if you only have a few maritime pictures or anchor wall paper, these pieces fit right in and become a vintage part of your decor. Shop for these items online at our store. We have several Authentic Models items available today and the lowest prices around. If you are planning a dollar dance (learn how to do a dollar dance) you'll need a few songs to add to your list. Choose these favorite dollar dance songs to begin with and then come up with a few of your own. The idea is to keep it light, fun and even ironic. That's the best way to keep everyone interested and dancing at your wedding. The wedding dollar dance is one of the easier games to play at a wedding. But it still takes some planning to get it right. Take these tips to heart before you learn how to do the wedding dollar dance. 1. Pick a good dollar dance song. Song choices are everything in the dollar dance. Don't pick something too romantic that might be awkward, or too long. A short 3 minute song that is light hearted and fun is perfect. 2. Inform the DJ or band ahead of time that you are planning on hosting a dollar dance at the wedding reception. Then work out a good time to do it. Ideally, it should be done early on, after dinner and cake, and the first dance. Try it about a half hour into the after party. This serves several purposes. It "warms" up the dance floor, serves as an icebreaker--and it happens before everyone is way too inebriated to participate. 3. To start the dance, the bride simply grabs here dollar dance bag and then waves it in the air. A white satin money bag is a popular choice. The band will then wait until someone puts a dollar in the money bag and they start playing. The bride dances with whoever hands over the dollar. 4. Continue this until there seems to be no takers. It's OK to let others join in and dance with whoever they want. Take a look at our dollar dance bags and wedding money bags for a few ideas on what to use during this fun wedding game. Making your own wedding invitations is something that all soon-to-be brides and grooms consider. However, before you embark on this project, there are several things to consider. Most make your own wedding invitations involve entering text into a computer program and then printing the included invitations on your home printer. They are often called print-your-own or custom wedding invitations. While this gives you an instant invitation, the printing process can be difficult. The paper must be centered properly, and you have to pay for the printing ink. Usually, a refill is not necessary unless you have hundreds of invitations to send. Then, you may end up paying more for the ink that you would for the invitations them selves. That being said, there are several ways to minimize costs and still get the invitations you want. There are a large selection of printable wedding invitations in just about every style you could hope for. These invitations come with blank invitations with space to print your own message on them. They also have software that makes it easy to print your wedding invitations at home. Or, just take them to your own printer and have them professionally done. At any office superstore, this won't cost much more than doing it yourself at home, and it will save time, and ensure a better end result. You can also make your own invitations from different types of paper, but this requires a lot of work and does not ensure as nice a presentation. For instance the Laura Ashley Butter Cream Jacket Invitation Kit includes envelopes, ribbons and a rich butter cream color paper that is hard to resist. The only thing you need to add is you own printed message, date and location. So, if you still want to design your own, make sure you have the time to do this, along with everything else. It will help to have Adobe Photoshop and some designs already in mind before you get started. If you need inspiration check out some wedding designs online or play around with shapes, bells and garland clip art just to get started and to plan your layout. After you have a general idea of what you want, you can build your design, test print it and then run a final printing of your own wedding invitations. Match them to an envelope and add a ribbon accent or another touch like parchment paper to complete the design. That's all there is to designing and making your own wedding invitations. There are a number of great crystal awards for the office. Some are mounted on solid wood, others are pure crystal. Some motivational with themes, others are used as trophies, or employee of the month awards. The trick is finding the ones the really reflect your company's direction and goals. Start with the basics when choosing a crystal award. The most common is the crystal star paperweight. Since is universal in theme (a star means many things) it is used in several occasions like retirements, promotional events, or employee of the month award. Another common, universally appreciated crystal award is the etched crystal globe. This comes on a base or has a flat bottom so it can be used as a paperweight. We also sell crystal globes that can be mounted on your choice of bases which include square and pyramid shaped. This personalization allows you to create your own corporate award. The crystal awards are easily engraved and sometimes engraving is free. Just add your own note, name or date and the item immediately becomes a one-of-a-kind gift. There are also mounted crystal awards and trophies which come on solid wooden bases. These feature figurines in some cases and have very specialized themes like persistence, being a team player, or financial and sports related themes. They are more specialized and come with pre-engraved quotes. You can still personalize the name and date on these items or give it as is. When selecting your crystal awards always consider your company's main message but don't get too caught up in it. Simple awards are often just as effective as specialized ones. Once you have the basic shape picked up, it's time to create the message. What is silver and made to look like a gift box? Here's a hint... this ornate item is a conversation piece for your wedding. It will really shine as guests gather to watch it fill up with the gift cards, which are meant to help the happy couple embark on their new life journey together. Give up? It is the reception gift card box and we have it on sale. Not only is the card box a practical item for the newlyweds, it also makes a great gift itself for the spouses so they have one less thing to worry about on their big day. These one of a kind boxes are not difficult to find, especially in the online arena. Make your selection today! There are many forgetful people who make up the world's population. As a result, the mantra of "finders keepers, losers weepers" has come about to describe what happens to those whose forgetfulness leads to loss of money or other important items. Those in the party industry have therefore come up with an idea that is meant to alleviate the scatterbrained nature of these folk. The gift box reception card holder steps in to save the day with its ability to keep all gifts from the reception in one safe place, to be easily retrieved later without the worry of losing anything in the pile.